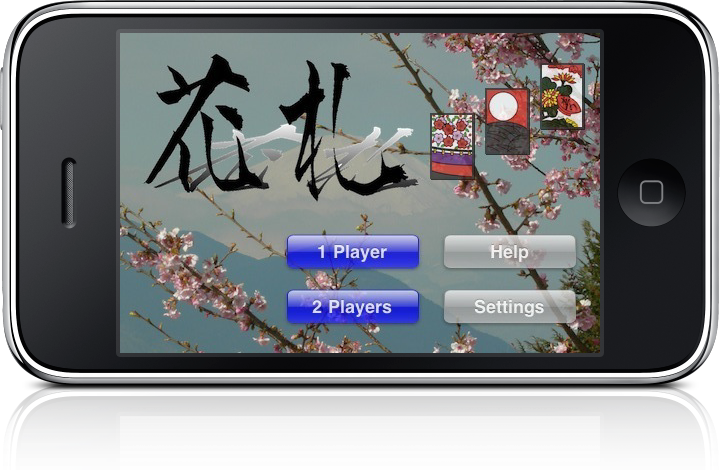 HANAFUDA Japan is a Traditional Japanese Card Game! Very Beautiful Cards with the beauties of nature. Japanese Elegantly Japanese Musics and Festival Musics (by Japanese Instruments). Smoothly and Comfortable (Good Operability and Visibility). 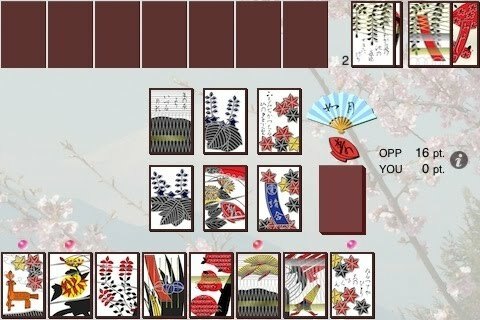 - Hanafuda Design set "Hachihachihana" and "Echigohana"
- Japanese Style BGM, "Pure Japanese Musics" and "Japanese Festival Musics"
You can fully enjoy this "HANAFUDA Japan" by seeing beautiful design cards of which Japan can be proud, by listening Japanese sound of Japanese zither (koto), three-stringed banjo (samisen), vertical bamboo flute (shakuhachi) and drum, with your friends and family. Hachihachihana is one of card design suit of Hanafuda. 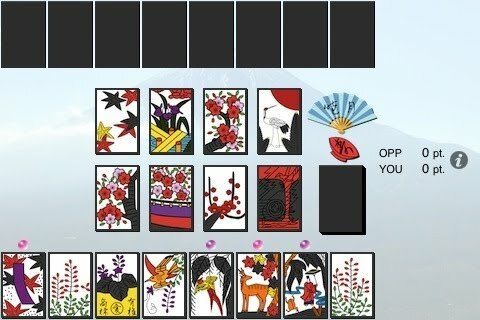 This is most popular and common Hanafuda design. This design was completed by integrated many local Hanafuda designs scattered across Japan on Meiji period. This design's feature is that the willow's chaff card becomes red "Drum with Ogre". Echigohana is one of card design suit of Hanafuda, too. This Hanafuda design using so beautiful gold and silver color is used to Echigo in Japan. and October describing classical Japanese verse Waka, and the November's Bright card is "Willow with Coarse Oilpaper Umbrella". "of Japanese zither (koto), three-stringed banjo (samisen), vertical bamboo flute (shakuhachi) and drum"
composed by those Japanese Instruments above. 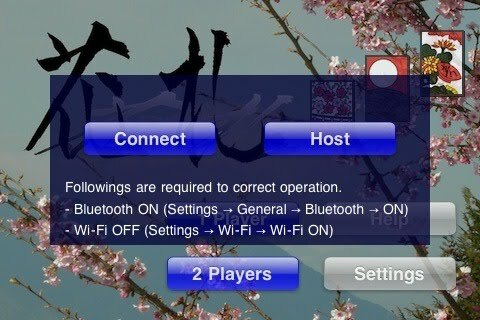 "at home, on the move and travel destination the internet isn't available"
You can touch "2 Players" button, and you can game by you and your friend's or family's two iPhone / iPodTouch / iPad devices with your friend or family. The communication between two devices is realized via Bluetooth, so you can play at home, on the move and travel destination the internet isn't available and so on. Please feel free to tweet or follow this twitter account @hanafudaSupport to tell your impression, wish to improve about this app. I reply your tweet possible. After you follow us, we'll follow you in order for you to send direct messages to us etc. Thanks in advance.